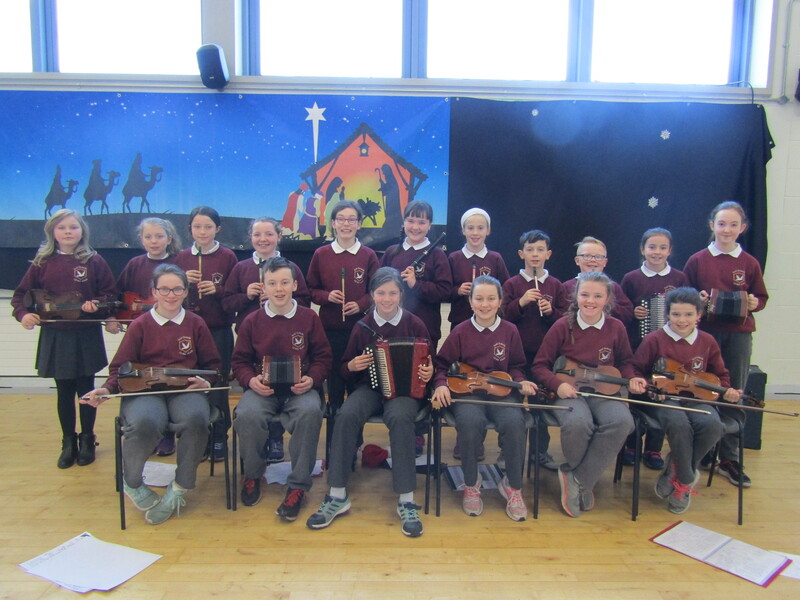 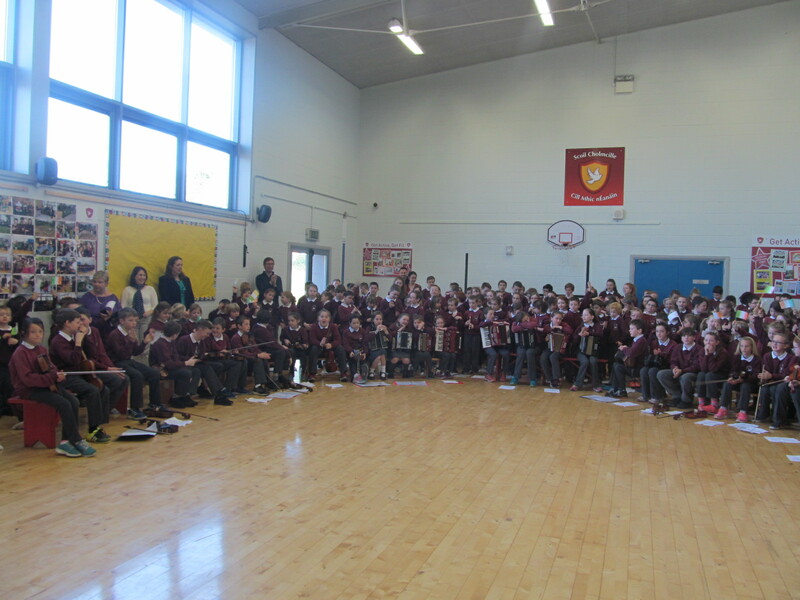 A group of Fifth & Sixth Class pupils performed a selection of tunes and Christmas songs at a Christmas Fair in the AIB Bank car-park, Letterkenny on Saturday, 2nd December. The school Music Group, under the tutelage of Mrs Gallagher, are practicing weekly. Among the instruments we are playing are accordions, tin whistles, fiddles, bodhráns and concertinas. 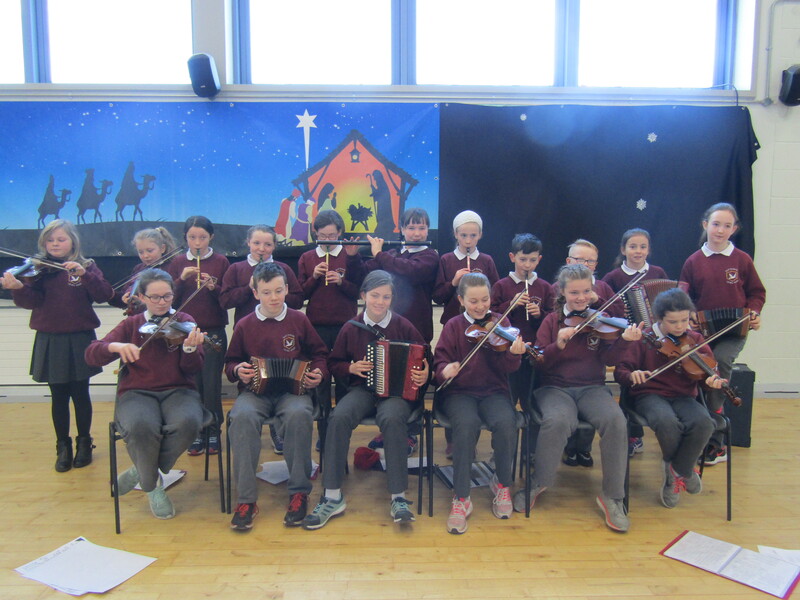 We have organised a six week Music Assembly programme, whereby all classes from first to sixth pupils meet for a twenty minute group practice.